Chrome Switched Socket 1 Gang is rated 5.0 out of 5 by 7. Rated 5 out of 5 by willy58 from Double socket Does what it is supposed to do. Rated 5 out of 5 by Bill will fix it from Look Good Are Good Changed all the sockets in my house, they look good and are good. 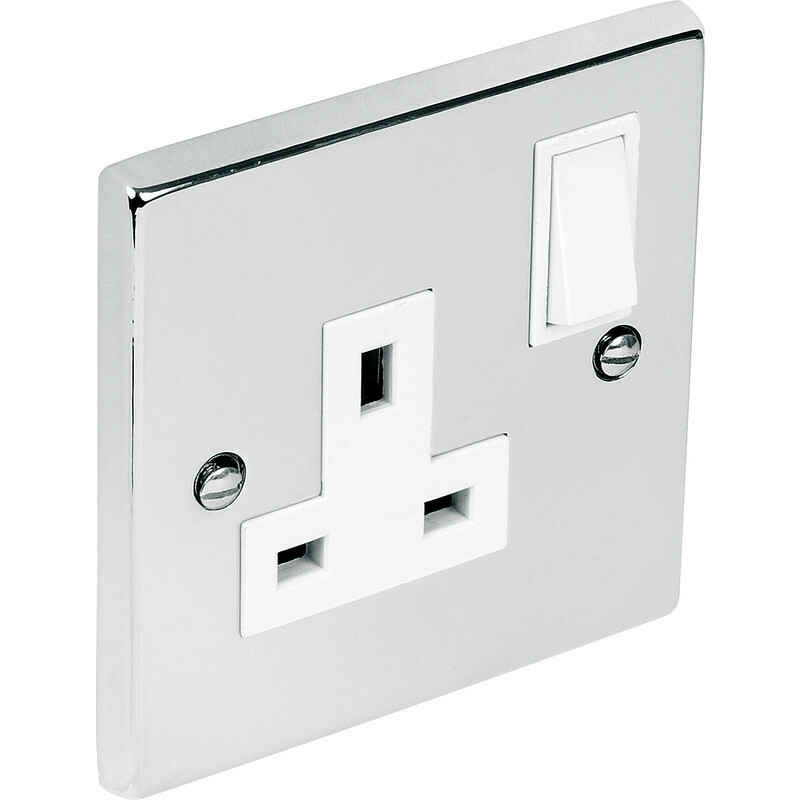 Rated 5 out of 5 by JB123 from Great product I've bought a large number of these sockets now for my house and they are great, the quality is excellent and they are very well priced. Rated 5 out of 5 by Lismurn from Excellent quality Bought to match similar products, would definitely recommend this product.